In a way, Donald Glover's FX show could be described as "black Seinfeld," says Michael Harriot. In an essay about "the invisibility of black genius," Harriot writes that Atlanta's "subversive personality doesn’t even try to accommodate white sensibilities. It is not unapologetically black, because it seems to be unaware that an apology is even necessary." He adds: "The beauty of Atlanta is that it proves that there are shades of black by rejecting every stereotypical portrayal of blackness and embracing the nooks and crannies. That is the unheralded genius of the show. It does not portray us at our best or our worst. It is black Seinfeld. It is a show about nothing while being a show about everything. It does not try to be black. It just is. 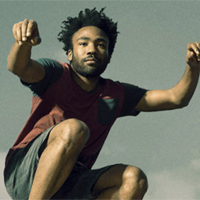 The greatest thing about Glover and Atlanta is that they don’t seem to care if anyone else recognizes their genius. Perhaps that is a lesson for us all. Maybe we should stop giving a f*ck." Atlanta Robbin' Season has a "familiar unpredictability"